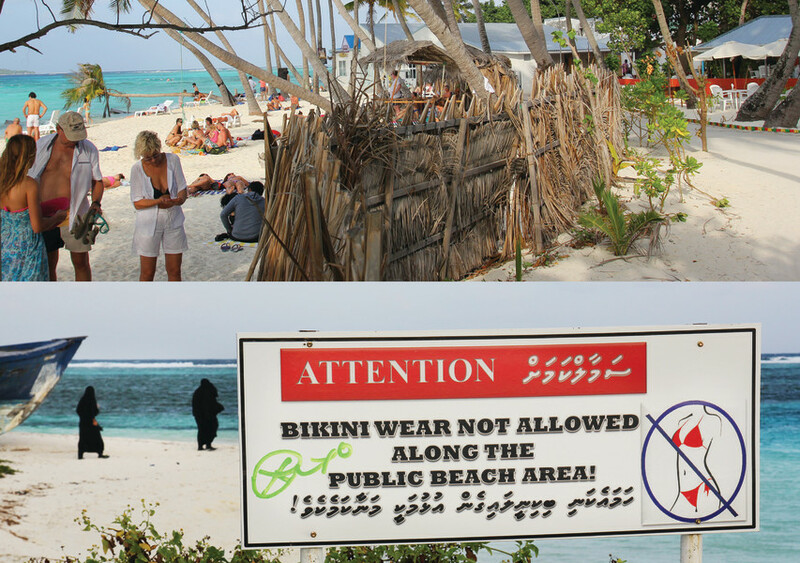 Maafushi's bikini beach is an interesting sight. It is directly beside the main road, but has a thatched fence physically and symbolically separating the half naked tourist 'sinners' on the beach from the locals on the other side. It stands in stark contrast with the bikini-forbidden public beach (burka beach?) on the opposite side of the island.